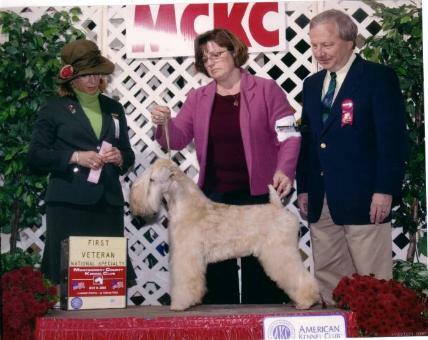 Proud of our old wheatens! of age. Hanna, truly a dog that loved the showring!